I’m sorry if by know you’re getting tired of my soup recipes, but too bad! I’ve got another great bowl of comfort that’s perfect for those chilly fall days. And like the ones that preceded it, this one is also super easy to make. Pre-heat your oven to 400 degrees. Place sweet potatoes on baking sheet and spritz with some olive oil or cooking spray. Bake until soft (about 45-50 minutes). In meantime, heat up the chicken stock. 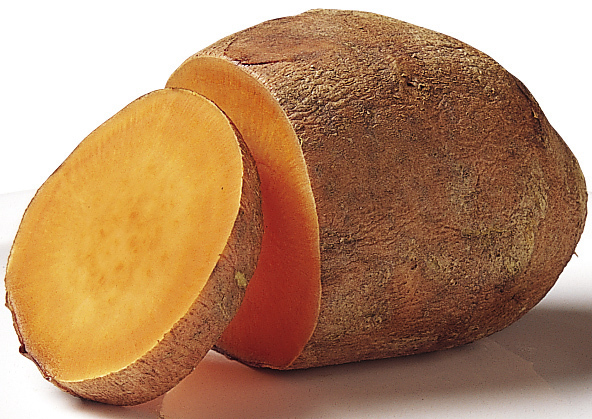 Once sweet potatoes cool, peel them and then give them a rough mash. This entry was posted on October 27, 2010 at 8:34 am and is filed under Recipes. You can follow any responses to this entry through the RSS 2.0 feed. You can leave a response, or trackback from your own site.